The QMS 403 D Aëolos®, manufactured by Netzsch®, is a compact quadrupole mass spectrometer that includes a heated capillary inlet that is ideal for gases and, volatile decomposition analysis. 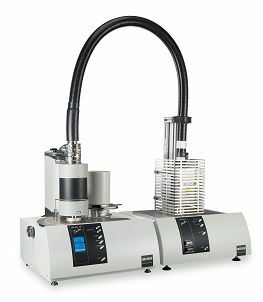 It functions for various coupling and analyzing of the calorimeters, dilatometers and thermogravimetric through a temperature increase of 300°C in the whole gas system conveyance, with an upgraded single-stage inlet along with a low-reaction fused silica capillary and a ion source that contains ultrasonic expansion. Plus, an agreeable mass spectrometer software and data exchange combination through the thermal analysis software of the Proteus®. Furthermore, the conveyance of the gas system immense temperature along with the lack of the reduced pressure opening removes the decomposed products condensation at the time of the analyzation of the thermal experiment.